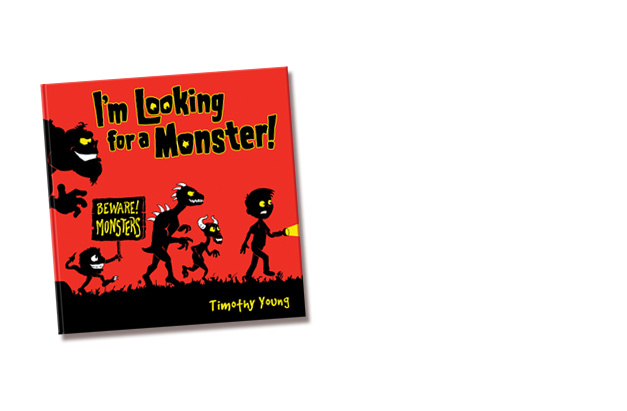 Author Visits, Books and Illustrations by Timothy Young - Creatures & Characters - I'm Looking For A Monster! I'm Going To Outer Space! I'm Looking For A Monster was the first book published by Author/ Illustrator (and Pop-Up engineer) Timothy Young. Random House published it in 2008 and it won a design award from the Bookbinders Guild of New York. The book is currently out-of-print. Copies can still be found online. MONSTERS are popping up all over the place! But not just any monster will do-no, sir! Lift the flaps, turn the wheel, and pull the tabs to find the PERFECT monster. Who knows? Maybe the perfect monster is looking for YOU! Read about the creation of I'm Looking For A Monster! on Timothy Young's blog.